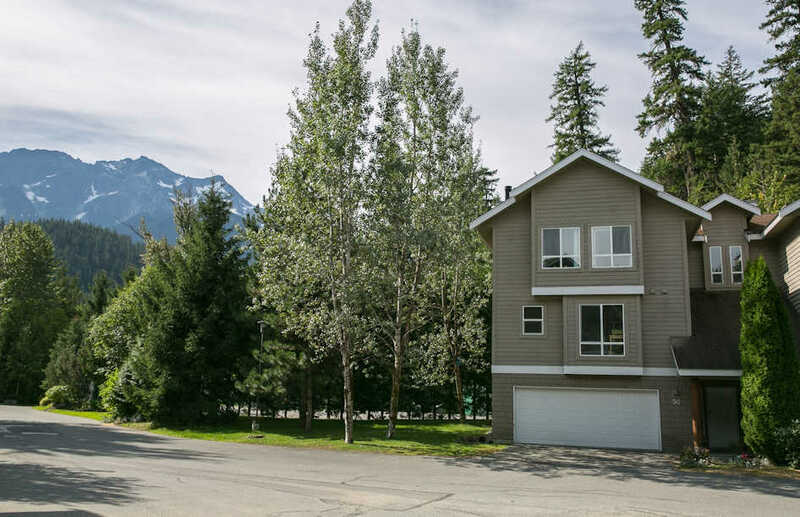 Conveniently located three bedroom end unit with 2.5 bathrooms in Creekside Village complex in Pemberton. This unit offers an excellent location backing onto the tennis courts, with forest views from the back patio and Mt. Currie views from the master bedroom. The spacious floor plan has many thoughtful updates throughout including new plumbing, recently completed professional interior paint, pot lights in several rooms, a high-efficiency wood burning insert with stone surround in the living room, updated bathrooms, and ceiling fans installed in the bedrooms. The appliances, hot water tank, and garage door have also been replaced within the last 5 years. Call today to view! This is an excellent opportunity to own your own home in beautiful Pemberton. Click Here to see the full listing info.